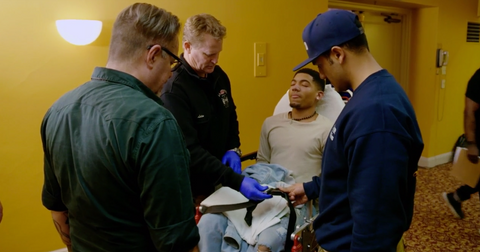 Can 'American Idol's Nate Walker Recover From His Trip to the ER? The American Idol judges are finally beginning to weed down their over-100 picks from the initial auditions and so far, it's been wonderful. 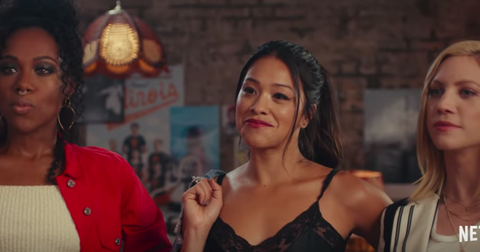 During last night's episode, we got to watch Laci Kaye Booth's country cover of "Natural Beauty" and our personal favorite singer, Alejandro Aranda perform "Sorry" in a way that makes us never want to listen to the Justin Bieber original again. But in the last few moments of the show, things got a bit dramatic. 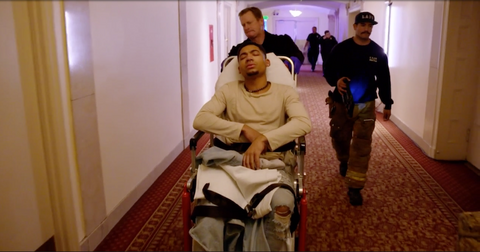 Pittsburgh native Nate Walker, who just moments earlier had serenaded viewers and judges with his chilling rendition of Whitney Houston's "I Believe in You and Me" had to be wheeled away in an ambulance. So, what happened to Nate on American Idol? After doing a fantastic job in the first half of the show and even having Lionel Richie call him a "badass," it seems the group rounds might have gotten the best of Nate's nerves. After all, it's probably contestants' least favorite phase in the game, when they have to figure out who to team up with and which singers will complement their vocals without eclipsing their talent. Things started off promising for Nate, who joined a group called "Ain't Goin' Home." We watch as the four singers practice Billy Joel's "For the Longest Time," but then it becomes apparent Nate's getting sick when he can't hit the right keys. First, a raspier-than-usual Nate is heard telling his groupmates that he just wants to push through, despite his head pounding and his stomach hurting. But when we watch him talk to producers, he can hardly get the words out to speak — let alone sing. 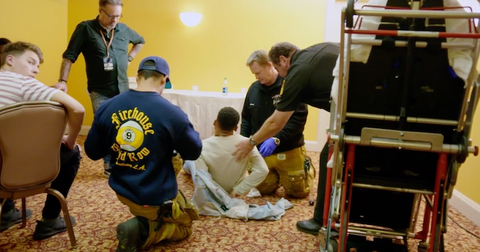 After trying to pull it together, Nate is suddenly lying on the floor and the camera pans to a group of EMTs hovering over him, saying, "He needs to go." It's unclear whether Nate collapsed to the floor or was just asked to sit down, but his health plummets rather quickly. 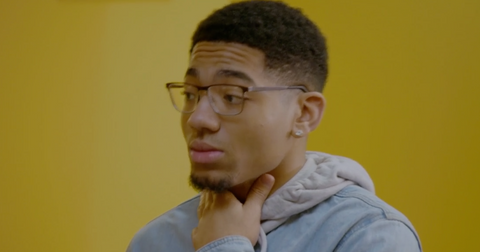 Nate's future on the show is uncertain for now, but we'll be able to find out tonight whether his four-person group is about to become a trio. It was quite an emotional cliffhanger for viewers last night. Although it was no surprise that Nate made to Hollywood — he was an early favorite of ours, after all — insider spoilers suggest he's going to be able to recover and advance past tonight. It seems like whatever condition he was wheeled away with ended up being more serious than just an innocent case of the nerves. However, over on social media, where he has almost 10k followers as well as a dedicated fan account, mum's the word. Though we're taking his activity on Instagram to mean he's at the very least OK, there aren't any clues on there that lead us to think he'll be coming back. "My heartttt i literally can't take this," Nate's fan page posted a few hours ago. "I legit started crying like what even is going to happennnnnnnn nooooooooo I love you so much Nateeeeeeee." We really hope Nate is able to make a speedy recovery and maybe even come back to American Idol next year — hey, it's been done before. Until then, get the details on what exactly happened to him tonight when American Idol airs on ABC at 8 p.m.